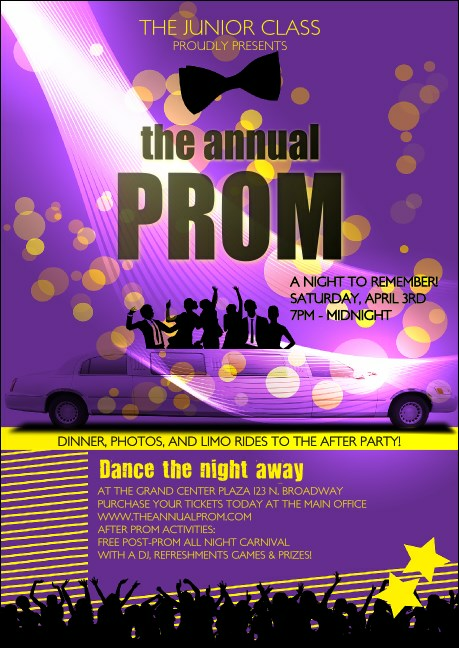 Increase interest during the run-up to your festivities when you mail the Prom Limo Postcard! This lavender and lemon template is brimming with active party people dressed to the nines, just like the group at your event is sure to be. Change 15 text fields to fit your fete. Event planning will be easier than you think when you use TicketPrinting.com!